Now in its 12th year! We especially thank our talented and generous directors & actors! Special thanks to Frank DuMar & The Cleaver Company for over a decade of generous financial support! Finally, the festival wouldn’t be possible without the generosity of Marta Rainer & David Towlun of Wellesley College Theatre and the past support of Nora Hussey! Every year, for the past twelve years, I wake up the day after producing Our Voices and think - it can't get better than this one. Every year, as they're saying goodnight, the participants ask if I’m super exhausted – but I'm not tired. I'm so filled with energy after this jam-packed day. I didn't spend energy, I created it. Producing Our Voices lets me spend my day listening to women show and tell their unique stories in a supportive, dynamic environment. Producing Our Voices gives me a chance to facilitate and witness the brilliant ideas women writers share to support each other's storytelling on stage. And, it’s gratifying to see Our Voices participants take the work they did at the festival into production, in Boston and beyond. I look forward, each year, to the many unexpected moments of beauty, truth, and insight that can’t be planned in advance. Reading a script and liking the ideas, voice or dialogue is rarely as satisfying as hearing talented actors reveal action and emotion, here and now, in the darkened intimacy of Ruth Nagel Jones theatre, sitting beside each other breathing, laughing, gasping and sighing. How we craft into art the stories we need and want to tell fascinates me, and every woman’s unique voice in the festival intrigues me. Mostly, I love creating the experience of Our Voices for you, our audience. Thank you for coming! We hope you’ll join us for an evening of staged readings by Boston area women playwrights - FREE and open to the public on Sept. 30, 2018 at 7:00 p.m. at Wellesley College, in Wellesley, MA. The Our Voices Festival is free for participants and the evening readings are free and open to the public, thanks to the generosity of The Wellesley College Ruth Nagel Jones Theatre. Over the past TWELVE years, Our Voices has presented the work of well over 100 Boston area women playwrights! No tickets or advanced reservations are required, and the theater is wheelchair accessible. Our Voices XI will be produced by festival founder, Kelly DuMar , with assistance from Fabiola Decius and Franci DuMar, hosted by the Ruth Nagel Jones Theatre at Wellesley College. Please “Like” the Our Voices FACEBOOK page. Please respond below if you want to be added to the Our Voices mailing list! Hello Boston Area Women Playwrights! I’m thrilled to announce that the Our Voices annual festival of Boston area women playwrights is now in its 11th year – and submissions are open to women playwrights from the Boston region! You may submit one monologue OR one 10-minute play. Our daylong developmental festival of new works includes an evening of staged readings, and will take place on a Sunday, September 24, 2017 at the Ruth Nagel Jones Theatre, Wellesley College from 10:00 a.m. – 9:30 p.m. The deadline for short play or monologue submissions is August 7, 2017 (please see below for guidelines). The Our Voices Festival is free for participants and the evening readings are free and open to the public, thanks to the generosity of The Wellesley College Ruth Nagel Jones Theatre. Over the past ELEVEN years, Our Voices has presented the work of over 100 Boston area women playwrights and poets! Our Voices XI will be produced by festival founder, Kelly DuMar and hosted by the Ruth Nagel Jones Theatre at Wellesley College. (2) Sat. evening of staged readings presented to public. Your writing will be considered for only morning OR evening, and you can only submit ONE monologue OR ONE short play or excerpt. One short play (10 mins or less) OR one monologue. Monologues should run five minutes or less. ONE short play (no more than 10 minutes), OR a 10-minute excerpt from a longer play, OR one monologue (5 mins or less).  E-mail submissions only. Playwrights should submit only the selected portion if the piece is from a longer work. As always, we strive to include as many playwrights as possible! Limit one submission per playwright. · Submissions are open to writers from Massachusetts, particularly those who live in the Greater Boston area. · Please include a BRIEF STATEMENT (no more than a paragraph – two lines is fine) about why you hope to participate in Our Voices this year. · Selected playwrights (both morning and evening) agree to be responsible for presenting their play by arranging for a director (optional) & actor(s) and for conducting any prior rehearsals you deem desirable in your own rehearsal space.  Minimal set items (chairs and small tables) will be provided; minimal tech requirements; lights up, lights down. We’ll have a designated volunteer to read any and all stage directions.  THEME: Once again, this year, the theme is “Theatre art as a medium of social change.” It’s open to interpretation. Think about theatre’s potential for changing personal and social ideas, values and behavior – and how your writing might influence or inspire individuals or groups to change – what is the change you hope to support or create in individuals or the world?  There is no budget at all to pay playwrights, actors or directors! This is an all volunteer festival. Nobody is charged and no one is paid and everybody leaves with a rewarding experience.  Submission Deadline: Please send your play/monologue in MS word or pdf to kellydumar@gmail.com no later than midnight, August 7, 2017. Selected playwrights will be notified by e-mail by August 20, 2015 and a required pre-production meeting will soon follow (via group conference call). Sept. 24, 2017, 6:30 p.m. The tenth annual Our Voices Festival, supporting new plays by Boston area women playwrights, will present an evening of staged readings, free and to the public on Saturday, Sept. 17, 2016 at 6:30 p.m., at the Ruth Nagel Jones Theatre, Alumnae Hall, Wellesley College. A reception to meet the playwrights begins at 6:30 p.m. with refreshments. The show begins at 7:00 p.m., and seats are first come first served. This presentation of new plays by local women playwrights features the talents of some of Boston's best actors and directors. This year, in honor of the 10th anniversary, the evening’s theme is theatre as social change. There will be a special post-plays performance with Arlington-based True Story Theater, who will perform audience responses to the plays using Playback Theatre. This year's evening performances include work by Boston area writers: Andrea Fleck Clardy, Deniz Khateri, Hortense Gerardo, Griffen Hoyle, Ann Marie Shea, Phyllis Rittner, Rosanna Yamagiwa Alfaro, Kelly DuMar, Johanna Skouras, and Lida McGirr. The festival founder and producer, Kelly DuMar, says it has been fully established by recent research that women face more barriers than men in the world of theater. “According to a 2015 study, ‘The Count,’ featured recently in The New York Times, women’s plays in the US are produced about one-fifth as often as those of men. This historic pattern of - consciously or unconsciously - over-investing in stories by male writers needs to change." 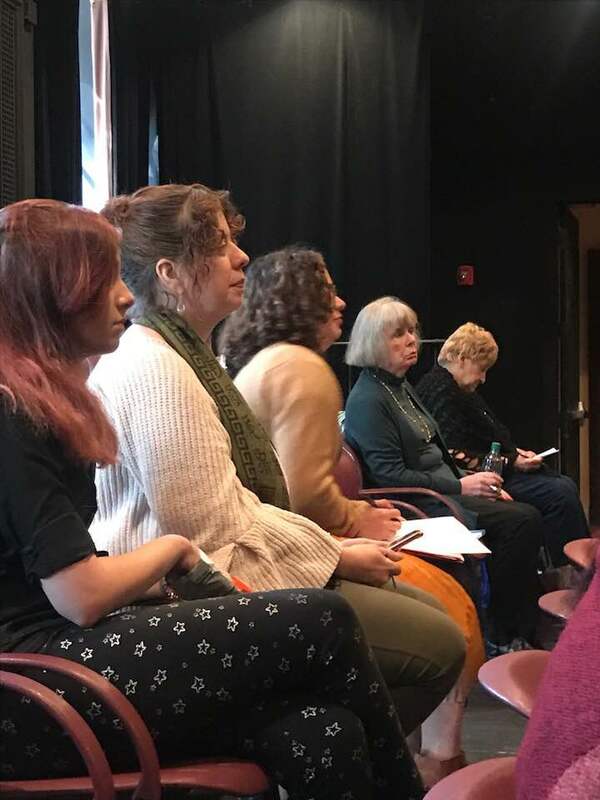 Over the past ten years, the 12-hour daylong Our Voices festival has helped well over 100 Boston area women playwrights develop stories for the stage, DuMar says. “In addition to offering a day of workshop presentations of new plays by women, Our Voices presents and evening of staged readings, and, with the generous help of exceptional actors and directors, presents them to an audience. “It’s an opportunity for audience members to be exposed to the artistic craft of women’s stories they are not seeing produced – and a way for men and women theatre goers to show interest in new work by women playwrights,” DuMar says. “The point of the festival is to give women playwrights a nourishing, no-cost day of incubation.” DuMar says. “Many of the short plays and monologues first presented at Our Voices go on to have full productions in Boston theaters and beyond. Throughout the day on Saturday, prior to the staged readings, thirteen additional Boston area women writers will present workshop style readings of new work with the help of volunteer actors and directors. Participating playwrights, and one poet, include: Cassie M. Seinuk, Debbie Wiess, Mickey Coburn, Fabiola Decius, Vannessa Greenleaf, Lynda Vernalia, Wokie Kajota, Sue Huggans, M. Lynda Robinson, Linda Hanley Finnigan, Carole Frohlic, Mara Elissa Palma, and Anne Marilyn Lucas. The festival is held in The Ruth Nagel Jones Theatre, through the generosity of Wellesley College, which is located in Alumnae Hall, Wellesley College, 106 Central Street, Wellesley, MA. There is free parking and the theatre is wheelchair accessible. For more information, contact Kelly DuMar at (508) 647-0596 or e-mail kellydumar@gmail.com. Our Voices is produced by festival founder, Kelly DuMar and hosted by the Ruth Nagel Jones Theatre at Wellesley College. Over the past ten years, Our Voices has presented the work of over 100 Boston area women playwrights and poets. This volunteer collective of playwrights, actors and directors aims to nourish women playwrights and poets by providing a supportive, inspirational setting for developing our unique voices and sharing our vision by presenting plays and monologues - with talented actors and directors - in front of each other and in front of an audience. What began as an evening of staged readings became a daylong event six years ago. Read on for more information about our work and ethos. Like Our Voices Facebook page to stay up to date! Our upcoming festival is September 17, 2016! I’m thrilled to announce the Our Voices annual festival of Boston area women playwrights is now in its 10th year. Our daylong event of workshop readings of new works includes an evening of staged readings, free and open to the public on Saturday, September 17, 2016 at the Ruth Nagel Jones Theatre, Wellesley College from 6:30 p.m. - 9:30 p.m., thanks to the generosity of The Wellesley College Ruth Nagel Jones Theatre. Playwrights have been asked to consider theatre’s potential for changing personal and social ideas, values and behavior – and how their writing might influence or inspire individuals or groups to change – what is the change you hope to support or create in individuals or the world? Please join the playwrights at 6:30 p.m. for a cheese & cracker reception; show begins at 7:00 p.m. No reservation is necessary, seating is first come, first served. In celebration of our theme, the plays will be followed by a unique post-show discussion and Playback Theatre performance with True Story Theatre in which everyone will be invited to participate. I’m thrilled to announce the Our Voices annual festival of Boston area women line-up, celebrating our 10th year! Our daylong event of workshop readings of new works includes an evening of staged readings, free and open to the public, Saturday, September 17, 2016 at the Ruth Nagel Jones Theatre, Wellesley College from 6:30 p.m. - 9:30 p.m., thanks to the generosity of The Wellesley College Ruth Nagel Jones Theatre. Keep reading for more of our philosophy and history! Every year, for the past eight years, I wake up the day after producing the Our Voices Festival of Women Playwrights and think – it can’t get better than this one. Every year, as they’re saying goodnight, the playwrights whose plays have been workshopped and staged tell me I must be super exhausted, and wish me all the rest I’ve earned. The thing is, I’m not tired. I’m so filled with energy after this jam-packed twelve-hour day I feel like Eliza Doolittle – I could have danced all night. You know this feeling, right? You’re on an inspiration high – you didn’t spend energy, you created it, by engaging wholeheartedly in an expressive activity you love. Producing Our Voices lets me spend my day listening to women show and tell their unique stories as creatively as they can in a safe, supportive environment. Our Voices costs next to nothing, yet offers priceless rewards to everyone involved, including me. Gather writers who will honor every participant’s creativity and take it seriously, support her to find meaningful ways to express her unique voice and vision in the world. Attract writers who have taken risks, done the work of learning what it means to collaborate with a spirit of generosity and helpfulness. Writers who have the humility to maintain an open mind and value mentoring, passing the wisdom they’ve learned from their mistakes on. Invite new writers who pose all the essential questions we need to be challenged to answer again and again – writers who truly want help and not just approval and are willing to appreciate feedback. 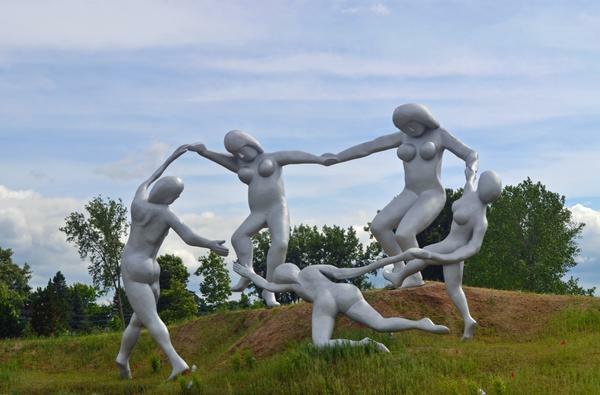 Involve writers who are interested in growing and developing as artists and human beings. Facilitate an ethos of respect – and opportunity for deep listening, and then responding with empathy, compassion, enthusiasm, sensitivity and authenticity – challenging, stretching, but being able to authentically communicate encouragement to other. for submissions (and going up! ), please sign up below.